Have there been times where you were backing out of a parking spot and wished that there was more light for you to see? If your incandescent factory bulbs are not cutting it and need more light, our LED replacement bulbs are the solution for you. 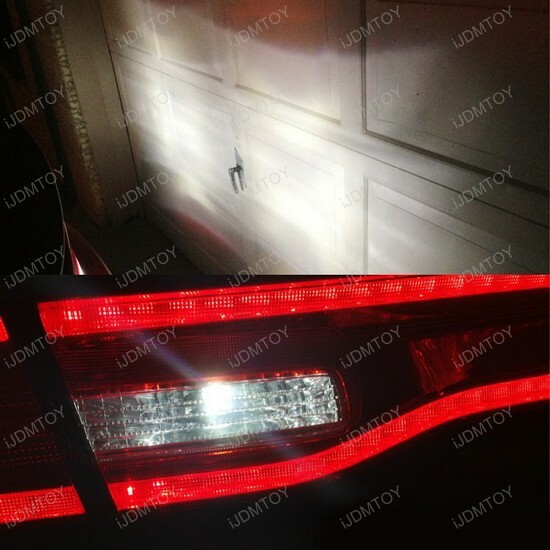 These 921 LED reverse lights are a direct replacement to the factory bulb inside your reverse light housing. 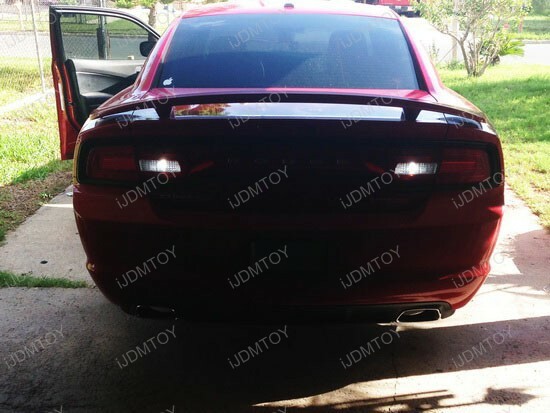 The 921 LED reverse lights inside this 2012 Dodge Charger are our 2.5W High Power T15 Projector LED Replacement bulbs. Approximately 500 lumens are created by the high power FLUX LED Emitter which is focused using the optical projector lens to provide you superior visibility during the night. 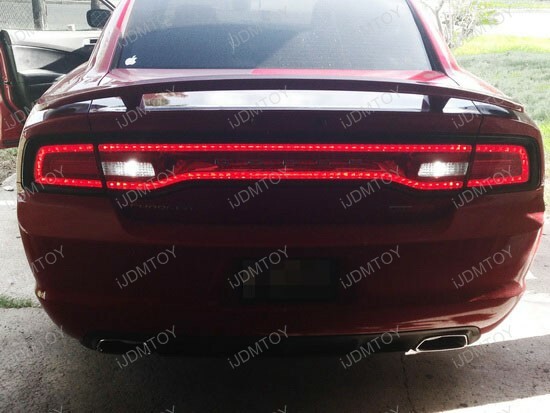 These bulbs are a direct replacement to the factory bulbs and can be easily installed by any novice who knows how to access the tail light bulbs. 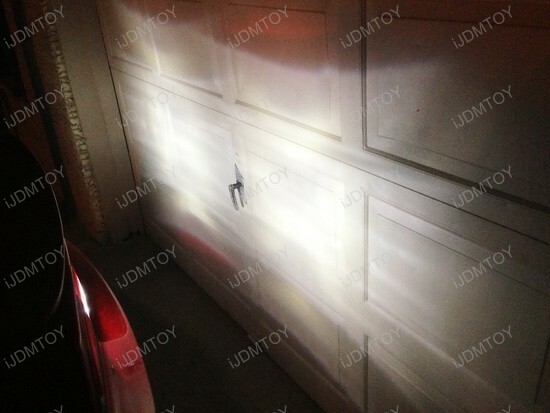 These LED reverse bulbs will provide a very focused and sharp light so it is ideal for small reverse light housings found in these cars. Using these backup bulbs in larger housings may not allow the same dramatic effect to take place. 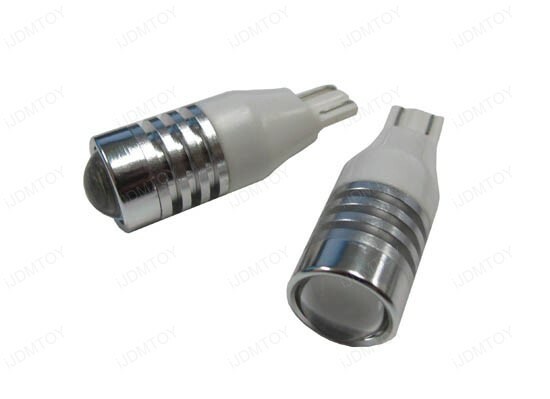 For larger housings, we recommend a 360 degree shine bulb instead such like these LED reverse light bulbs.